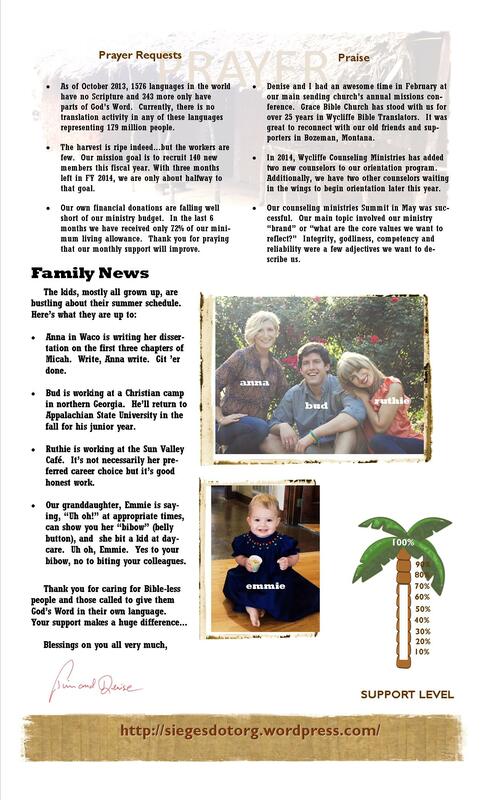 Here is our latest newsletter. Lots of good stuff. 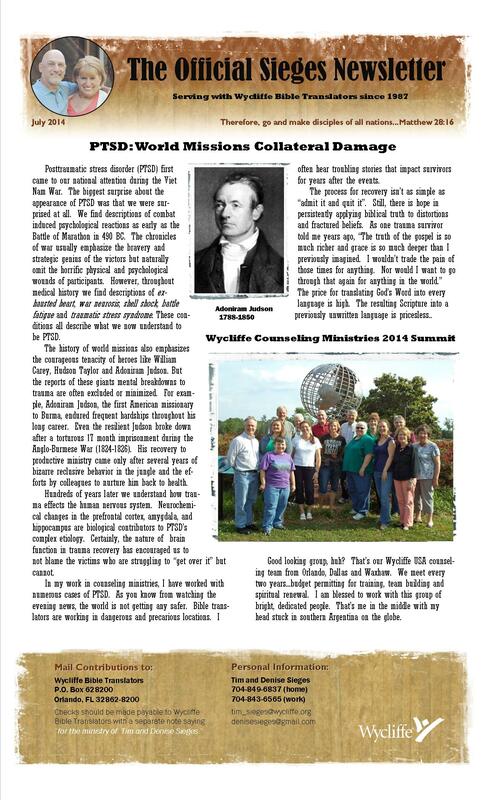 The lead story is about a topic relevant to my work in counseling ministries. You’ll also find some real good family news and prayer requests. Read the whole thing. You’ll be glad you did. And as always don’t forget to click twice on the image. The image will get big enough to read. Otherwise you’ll be sitting awkwardly close to your computer monitor trying to make out the text. Don’t do that. Your eyes will get square just like your mama told you they would.